The 2017 lecture was presented by Sir John Armitt (CBE FRENG FICE FCGI). 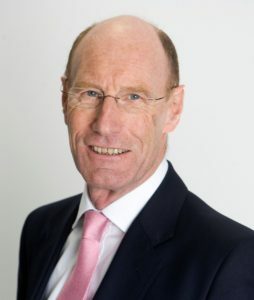 Sir John Armitt is Chairman of the National Express Group, the City & Guilds Group, Deputy Chairman of the Berkeley Group and Deputy Chairman of the National Infrastructure Commission. Sir John is also on the Board of Expo 2020. In September 2013 Sir John published an independent review on long-term infrastructure planning in the UK. The recommendations in the Armitt Review received widespread support and in large part have now been adopted by the current government, resulting in the National Infrastructure Commission. After leaving John Laing plc in 1993, where Sir John had been Chairman of Laing’s International and Civil Engineering divisions, he became Chief Executive of Union Railways. In 1997 he became Chief Executive of Costain, a position he held until 2001. Sir John was Chief Executive of Railtrack plc from 2001-2002, Chief Executive of Network Rail from 2002-2007, Chairman of the Olympic Delivery Authority from 2007-2014, Chairman of the Engineering and Physical Sciences Research Council from 2007-2012, and a member of the Airports Commission from 2012-2015, and a member of the Board of Transport for London from 2012-2016. Sir John was President of the Institution of Civil Engineers from 2015-2016, he is a Fellow of the Royal Academy of Engineering, the Institution of Civil Engineers and City and Guilds of London Institute and has received honorary doctorates from the universities of Birmingham, Imperial College London, Portsmouth, Reading and Warwick.